I usually keep roblox muted anyways but I went to add audio to my game and began getting more and more frustrated when no matter what I did I couldn’t hear any of the audio I’ve been scripting. And then I noticed it was playing from somewhere else in my room, and wha-la. Everything else on my computer plays through the correct device and as far as I can tell I can’t find any way to switch it for roblox specifically. I just keep my rift audio disabled until I need it. That’s the only work around I know. Oh hey that helps. It’s not ideal but at least I can hear studio now. On the Vive, the VR software is responsible for controlling which audio device is used. 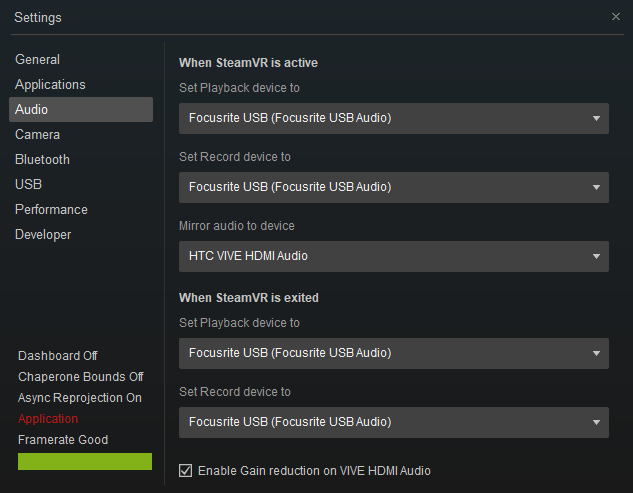 This may be the same with Oculus as well – check its settings to see if anything’s there. “Focusrite USB” should be whatever audio device you want to use. 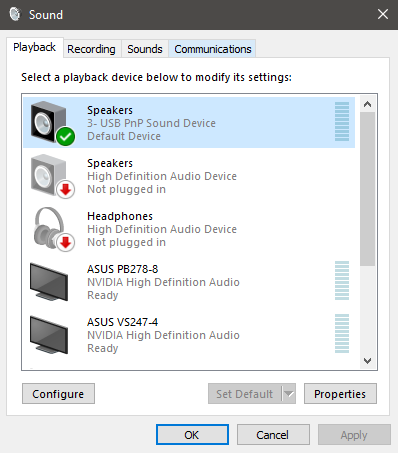 You can also set it to not change the audio device at all, but I had some issues with that where it would sometimes still change. Was just about to report this. 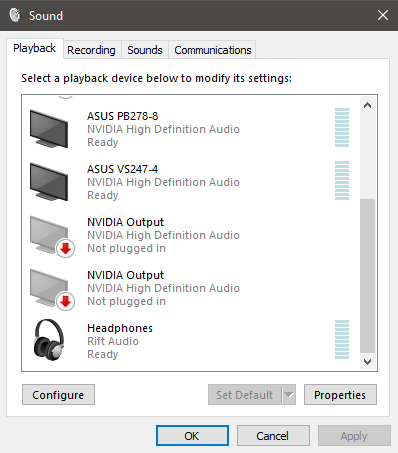 ROBLOX should really be using the default audio device. I have Oculus Tray Tool/SteamVR change my default audio device to my Oculus headset when I intend to use it. I shouldn’t have to disable the Rift headphones exclusively for Roblox. I have VR mode turned off and oculus service disabled, however it still doesn’t play through my default device. It only works if I entirely unplug my headset, but I have other people who use the headset and I don’t want to have to constantly plug/unplug my headset.